Back in October RBZ suspended 4 top officials after Acie Lumumba had called them out on a Facebook Live video. The officials were alleged to be behind the foreign currency that was (and still is) flooding the streets. Outcome Of Investigation Of Allegations Against Certain Senior Reserve Bank Of Zimbabwe Officials. 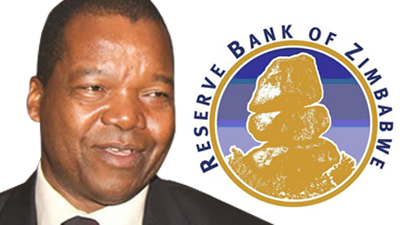 Members of the public will recall that on 22 October 2018 the Reserve Bank of Zimbabwe (the “Bank”) suspended, for an indefinite period, four of its staff members namely Messrs Mirirai Chiremba, Norman Mataruka, Gresham Muradzikwa and Azvinandawa Saburito pave way for investigations following some public utterances by Mr William Gerald Mutumanje (also known as Acie Lumumba) that the four directors were involved in corrupt activities and illicit currency dealings. At the time the Banlk advised that it would follow through and investigate the allegations and advise the public of the outcome. The Bank and the law enforcement agents carried out investigations which on conclusion have revealed that Messrs Chiremba, Mataruka, Muradzikwa and Saburi were not involved in the corrupt activities or an impropriety as alleged by Mr Mutumanje. The Bank would thus like to advise the public that the quarter has been accordingly absolved of any wrong doing. Will the Government walk the talk anytime soon? This official statement will come as a disappointment to anyone who’s following this story. Not because those 4 officials are not locked up. But precisely because this is another situation where the Zimbabwean government has flattered to deceive. You’ll recall that shortly before this investigation started, our President had come out and said the hard hand of the law would be falling down upon those who were behind these shenanigans. This whole episode looks like it was a waste of time and I don’t know of you but the forex issue has not been solved yet. We have just grown accustomed to it. Similarly a few months ago, the government made a lot of noise about their list of companies externalising funds. The list was published and the public was disappointed when there were no familiar names on that list. Lo and behold, the President once again prompted the public to keep faith as the externalisers would return the money. Fast forward a few months and various taxation schemes later and it seems that too was a false alarm and it’s not too clear whether the money was returned as we are now burdened with paying off the governments local debts and international debts. Were these officials just scapegoats? Now it’s no longer clear if these officials were just scapegoats or whether this was a master plan, but personally, I understand why the RBZ had to suspend them after those allegations. Remember at the time Lumumba had been appointed as the head of a short-lived communication task force meant to deal with the forex issues so the things he said held a lot of influence at the time. If the RBZ had held their hands behind their back we would have complained that they are just standing and watching as someone who is appointed by Mthuli (beloved at the time) tries to clean up the government’s mess. Did the RBZ also have to even release this press release? window dressing by the mafia regime ! !